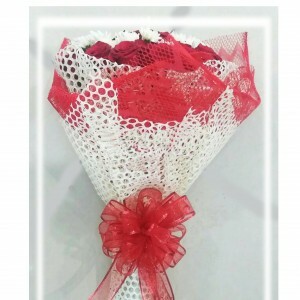 Bunch of 25 roses and white flowers wrapped in special designer red and white paper and red ribbon. 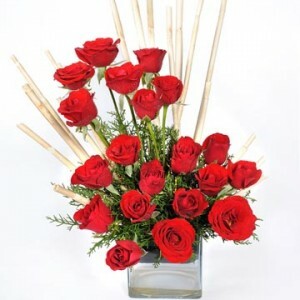 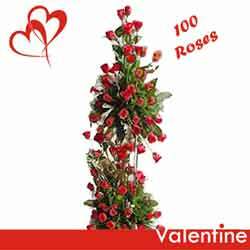 Express your feelings with this jumbo arrangement.100 roses roses are arranged in a way to show your emotions. 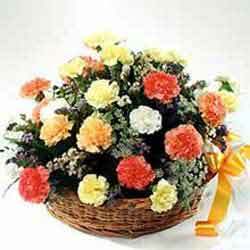 Get this cane basket has been arranged with 6 3pc ferrero rochers chocolate, 15 Carnations,9 yellow roses and filler and is a perfect gift for a romantic affair. 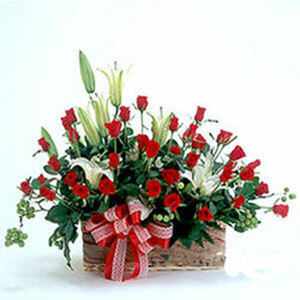 Bigger flowers bigger feelings. 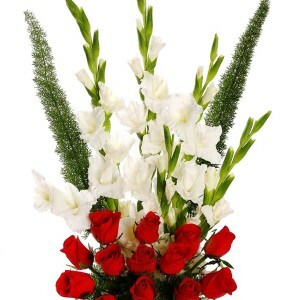 A specially designed arrangement of 35 red roses and 5 white lilies with beautiful fillers gives a beautiful aroma.This can turn into the most beautiful and precious gift for your loved ones. 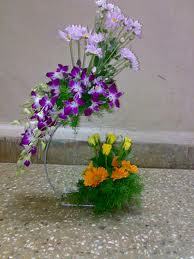 Flowers whisper “Beauty!” to the world, even as they fade, wilt, fall. 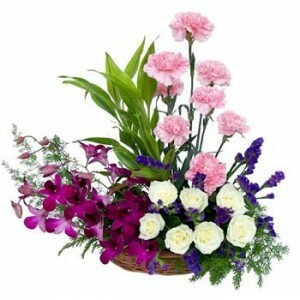 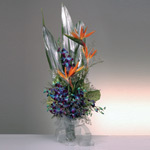 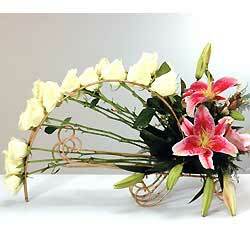 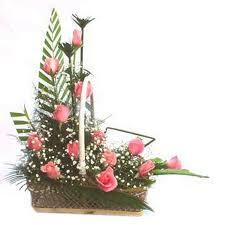 A freshly designed arrangement of mix flowers lets u fell true colors on this beautiful world.